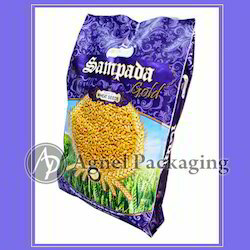 We are the manufacturers of wheat flour bags and also deal with multicolor wheat bags Wheat industries in India have always been the largest users of our bags in India as well as overseas. We have the packaging from 5 Kgs to 75 Kgs with a brand building designs. Wheat Bags offered by us are one of the most recognized and demanded in the manufacturing industry. Looking for Wheat Sack And Bags ?